I don’t think I’ve ever had a bad beer from Smuttynose, and I know I’ve had a few that were very good. But for some reason I usually pass them over in the beer aisle. I think it might be their packaging, as while some brewers scream for attention at the shelf, Smuttynose seems content to hide in plain sight. 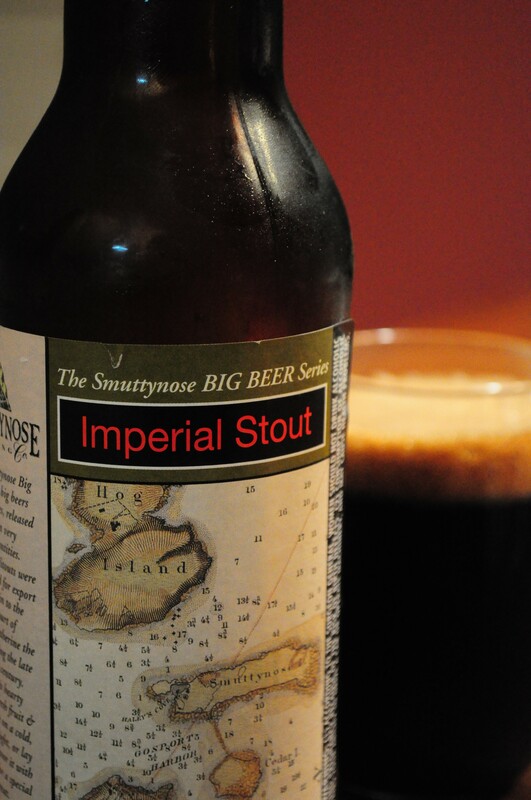 Like many of their other beers, Smuttynose Imperial Stout (fancy name, huh?) is quietly impressive, with a strong character and a richly satisfying flavor profile. And while the bottle might not leap off the shelf and into your cart, it’s definitely worth picking up if you’re a fan of big beers. The pour is classic stout, an inky black/brown with a finger or two of tan head. Burying your nose into the glass reveals huge malts, some smokey oak and a whisper of licorice. The first sip rewards with a heavy mouthfeel and a gush of imperial goodness. Rich roasted malts combine with a fairly aggressive hop profile that gives the beer a slightly floral quality. As with many great imperial stouts, there are hints of oak, coffee and chocolate, and like some of the crazier ones (like Victory’s Storm King) there’s a little licorice taste as well, perhaps due to the interplay between the alcohol and the hops. Not exactly the flashiest of bottles on the shelf, but one of the better beers. As the flavors subside, you’re left with the taste of bitter cocoa on your palate and your chest warmed by this 9.8% ABV treat. 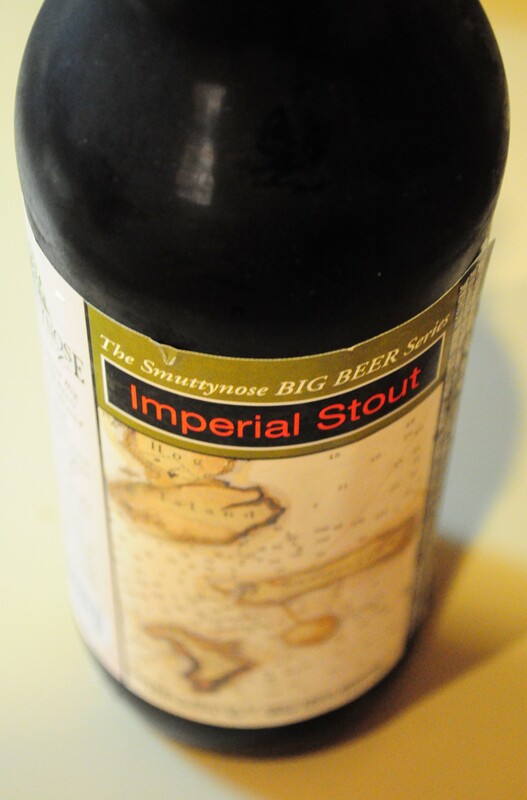 I lingered over a glass of Smuttynose Imperial Stout for over an hour, slowly making my way through a 22oz bomber and enjoying how the oak flavors blossomed as the beer warmed. It’s a great beer to spend an evening with. You might have been able to guess that Smuttynose Brewing is in New Hampshire, a place where it says “Live Free or Die” on the license plates and people generally want to do what they please and be left alone. In this context, the lack of fanfare surrounding their beers makes sense. But don’t let the label fool you – while it might not scream for attention, this imperial stout is certainly worth a look. I’d agree that I’ve yet to have a Smuttynose I haven’t liked. Still, I pass up their beers time and again. Perhaps they should think about rebranding a bit? The Imperial Stout label is actually impressive compared to their 12oz labels. 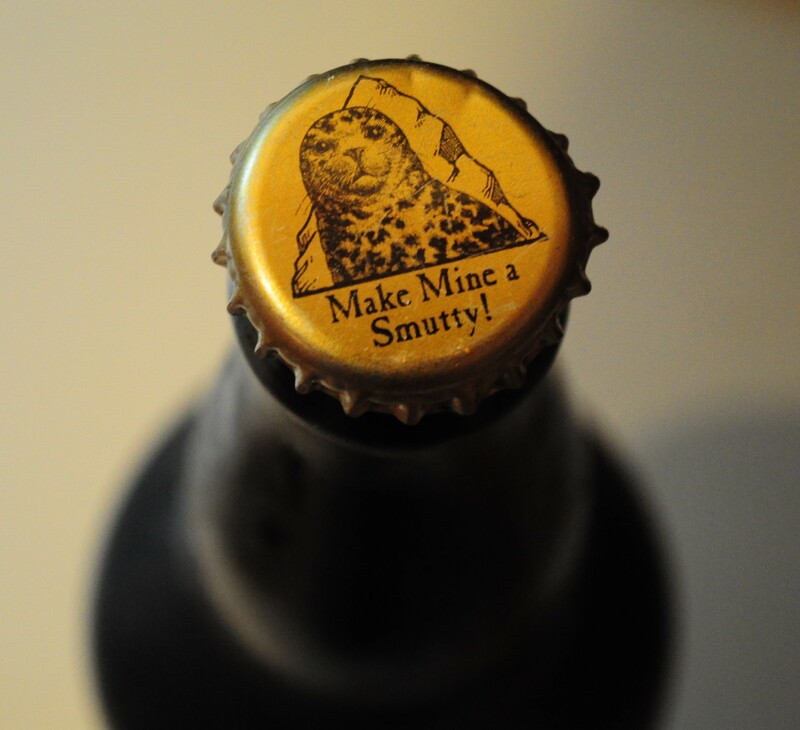 It’s funny that I complain about the schtick Shmaltz uses to sell their beera AND the fact that Smuttynose doesn’t try hard enough. I guess not everyone can be Victory, who does it just right. Smuttynose does indeed make a great beer! Their IPA, Old Brown Dog Ale, and Shoal’s Pale Ale are all really good. Since I too enjoy a dark and robust beer, I’ll keep an eye out for this one. Thanks for the review! I love Shoals Pale Ale, too. It’s such a mellow treat!